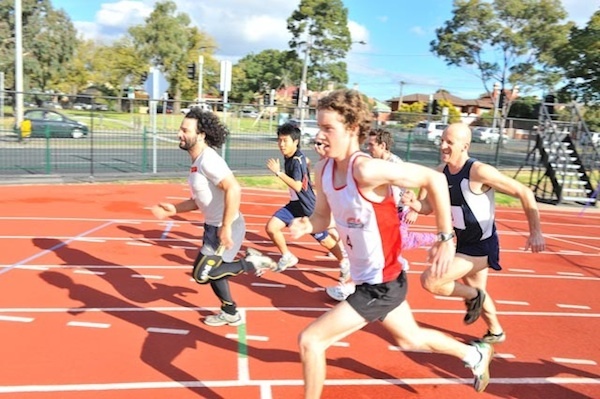 800m, 2011. Installation View, prior 800m race, George Knott Athletics Track. 800m was part on the Next Wave Sports Club project in 2010. 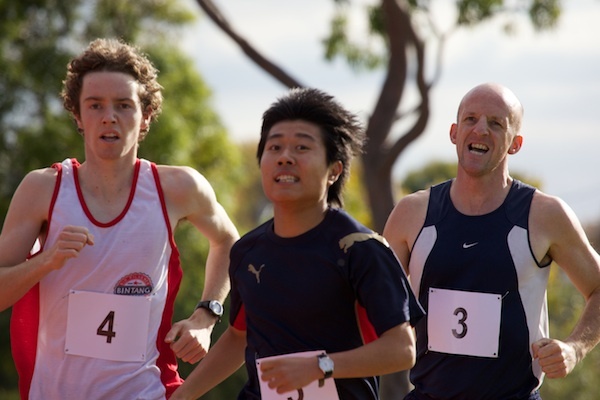 Competitive runners had their watches and heart rate bands taken off them in an 800m race. Instead of looking directly at their watches to gauge performance they had to listen to their internal senses. 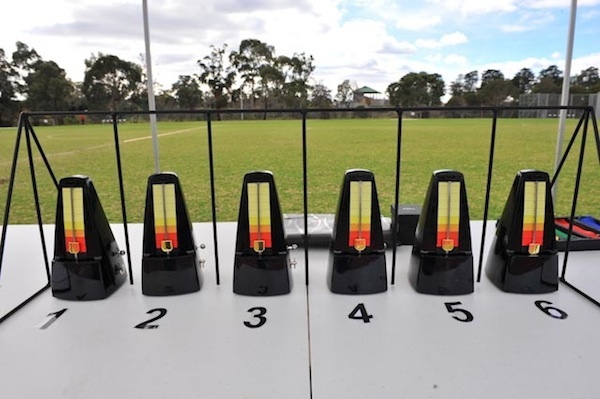 After finishing the race they transferred their heart rate beat per minute to an individual music metronome, which communicated their internal body pace externally to be watched. 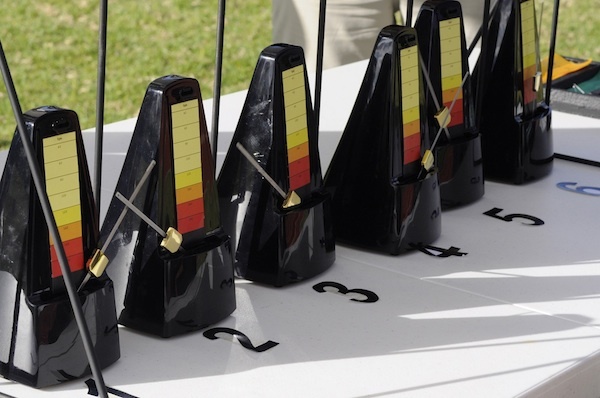 The music metronomes performed continuously throughout the day according to the heart rate recorded. The ticking rhythm filled in and explained the exertion of the bodies during the event rather than measuring the rate of exertion with a number. 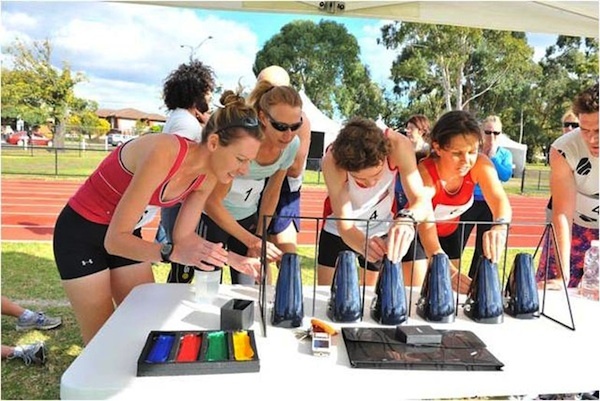 The viewer could determine for themselves which athlete pushed their body the furthest during the race by looking at which metronome hand was moving the fastest.